Caring for rescued donkeys since 1972, the GSDS was officially established in 1990, making them the first donkey sanctuary in Australia. 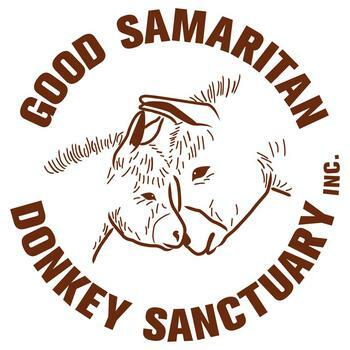 Managed by a committee of donkey-knowledgeable members, GSDS has many decades of experience in handling, managing and caring for donkeys. Through a combination of rehabilitation, education and tlc, they ensure all their donkeys live happy, secure and carefree lives. GSDS Inc is the oldest and biggest Donkey Sanctuary in Australia and their devoted volunteers, tirelessly care for these beautiful animals. Cost Includes: Entry into the Donkey Sanctuary, return bus transfer from the Central Coast & morning tea. Morning Tea: Included in price & supplied by the Good Samaritan Donkey Sanctuary. We will stop for lunch in the town of Dungog where you'll have an opportunity to browse the local shops and purchase lunch at one of the cafes. Alternatively, you might prefer to bring lunch from home & we can store it in one of our iceboxes until required. This tour requires a minimum of 15 people to go ahead. If this event is cancelled by Connect Coaches, money will be refunded to those who have purchased tickets.